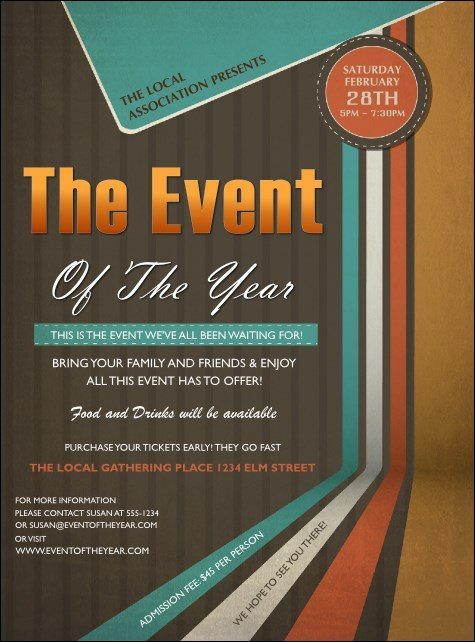 Find new fans for your event and distribute the All Purpose Retro Flyer in advance. This groovy template has cool stripes and plenty of room for party, concert, or festival details. Coordinate your promotions with tickets, invitations and posters in a Matching Event Kit.